The large majority of chainsaw users aren't professionals—they simply use their chainsaws around their home's yard to prune landscape, cut down small trees, or cut up the occasional fallen tree. 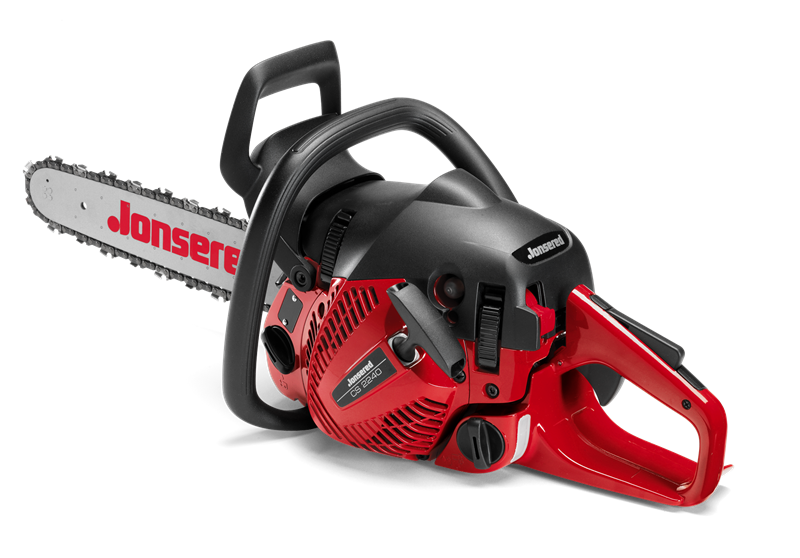 Generally speaking, home use chainsaws are going to be on the lower end of the power spectrum with a short bar. Read on for 5 of our favorite homeowner chainsaw models from Stihl, Poulan, Homelite, Poulan & Jonsered. With a 38.2 cc engine displacement and the ability to handle chain bars from 13 to 16 inches, the Husqvarna 240e is right in the homeowner range. The 240e includes a couple features that the 240 doesn't. First is has Husqvarna's "Smart Start" starter and engine which allows the saw to be started with minimal effort, which is great for homeowners that are looking for a low hassle product. It also includes a built in chain tensioner, so no tools are required when you need to tighten the saw chain. If you're looking for a little bit more power, the Poulan P4018 is a great option, weighing in with a 40 cc engine displacement and an 18" bar length. Another feature that is useful for homeowners is the automatic chain oiler that keeps the chain lubricated throughout your work. Poulan also throws in a carrying case that is useful for storing your saw. Similar to the Husqvarna 240e, the Stihl MS 211 C-BE features Stihl's own quick start technology, Easy2Start™, and also a quick chain adjuster for tightening your chainsaw's chain without any tools. It's important to note that Easy2Start is designed for a leisurely pull—you risk flooding the engine if you pull too hard. At 35.2 cc, this saw is slightly less powerful than the other options, but Stihl's products are designed for use in professional settings, even on their less powerful saws. If you're concerned about power, you can upgrade to the Stihl MS 250 with a 45.4 cc engine and many of the same features as the MS 211 C-BE. The Homelite UT10660 is a 38 cc chainsaw with a 16 inch bar and a number of features that homeowners will find useful. The automatic oiler, vibration isolation, and chain tensioner all make this saw easy to use on any job. Homelite also includes a removable "Safe-T-Tip™" on the tip of the chain bar that prevents users from cutting with the tip of the saw, which can result in kickback. Jonsered makes some of the most homeowner friendly saws out there. Weighing in at 9.48 pounds it's the lightest chainsaw on our list and with a 40.9 cc engine, has enough power for any job around your home. The CS 2240 also includes the tool-less chain tensioner, a one push stop/start switch, and a quick starting pull cord. The air filter cleaning system also makes the saw easy to maintain. At HLSupply, we carry a huge selection of aftermarket parts for all of these makes and models. If you need replacement parts for your new homeowner saw, visit our site or contact us to get your saw back in running order with highest quality and best priced parts online. I would like for the Husqvarna Chainsaw. 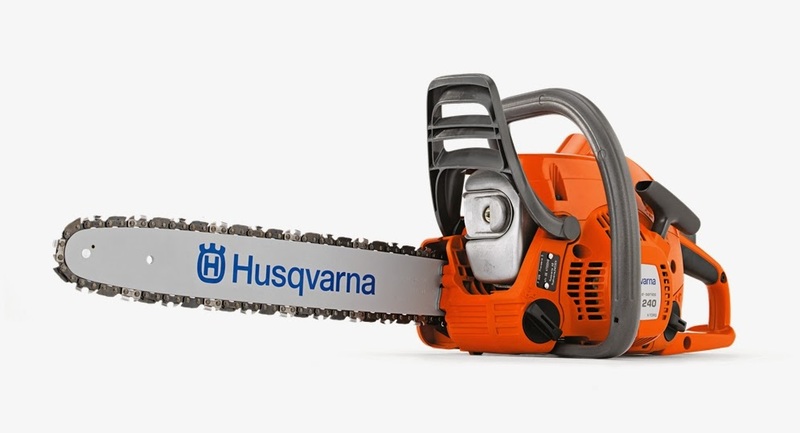 Besides, Husqvarna and Stihl have massive followings, reviews from loyal fans and obviously produce superior chainsaws.